Home » Banking » 3 Main Types of Deposit Accounts, Which One Should You Choose? There are three main types of deposit accounts you can use to save money for your financial goals. Depending on your needs, one or more of the accounts may be an ideal way for you to invest in the future whether you have specific financial goals or just want to build a suitable stash of cash should an emergency strike. If you are not utilizing the right type of savings account for your financial goals, you might be missing the boat. Here are the descriptions of three types of bank accounts. A saving account is the simplest of the savings tools and can be opened with a low amount of money. Most consumers use a saving account in conjuction with a checking account for their basic saving needs. Savings accounts can be opened through a brick and mortar bank or through an online bank. 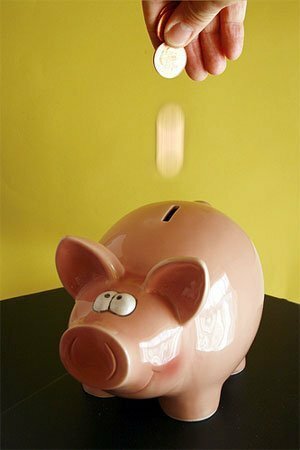 Generally, most basic savings accounts do not have limitations on how much you can deposit or a minimum on how much money you must keep in the account but many will limit how many withdrawals you can make fee-free during a month. Most savings accounts offer low interest earnings compared with other savings vehicles but there is growing competition between banks and online banks to offer the most competitive interest rates. A certificate of deposit, more commonly known as a CD, is a type of savings account that has more rules than a traditional savings account. You deposit your money into a CD and are required to leave it untouched for a specified amount of time before you have access to the funds, a time period known as its maturity date. If funds are withdrawn before the maturity date, a penalty will be incurred. CDs offer a higher interest rate than other accounts which is usually set as a fixed rate. Many investors looking for a simple way to invest their cash will choose a certificate of deposit. A money market account will offer a higher rate of interest than a traditional savings account. However, unlike the CD, a money market’s interest rate will change more quickly in line with the economy. There may also be a minimum balance required to maintain the account per the bank you choose. The funds in the account can be accessed at any time but the bank will likely impose limits on how many withdrawals can be made. Money market account is more common with your Brokerage Account, e.g., any fund not invested in my TradeKing and TD Ameritrade accounts are put into a money market account. You may find that all three types of savings accounts are applicable to your financial goals and decide to open one of each or you may decide that setting up just one account would serve your immediate needs. Whatever your decision is to start saving, there also needs to be a plan to regularly fund the account. Even those stretched to the limit money-wise can find cash to dedicate to savings. $25 a week deposited into an account is $100 a month. Over time, the deposits plus interest can generate a sizable amount of cash. Once you start to see the actual progress of saving money consistently it can make it easier to commit, but it can still be a struggle in the beginning. Automating your deposits into your savings accounts increases your chances of meeting your savings goals using the ‘out of sight, out of mind’ theory. What you never see you will probably not miss. Start with small increments and build up to more as you can afford it consistently. As time goes on and you establish a sizable sum of money, consider opening another type of savings account to earn better interest now that you know you can save money. Set new financial goals regularly and check the terms of the account to make sure they are still in line with what you need to achieve your goals. Make every effort to not withdraw the funds in your savings account unless absolutely necessary. The longer the funds stay in, the more they can earn over time. Automating your deposits takes the work out of savings and helps you see the rewards of your efforts in a faster period of time. As you said, automation is the key to savings. However, I’d caution people not to allow automation to give them a reason to “ignore” their accounts. The best way to manage accounts is by automating the account monitoring through the use of technology, and then to periodically (perhaps monthly) check on all these accounts to make sure there are no red flags. We both have the basic savings account and several certificates of deposit. A CD is scheduled to be withdrawn each month, in cases of emergency. If the deposit is left untouched at the end of the month, we put it back on the bank, adding some amount from our savings account. This way, we are rolling out our account and it grows every time. Very nice article. Picking the right savings is important and contributing to it on a regular ongoing basis is equally important! HSBC is a great account for those looking to earn a better interest rate. Right now, I believe it is 1.10%–which is not the best you can find, but the balance requirement is only $1–making it a great place to start! I’m a big fan of the ING Direct online savings accounts. The interest isn’t as competitive as some in your list but the way you can segment accounts is great for saving and budgeting. Good refresher on whats out there, I would offer another savings vehicle which is known as becoming your own bank. it’s all about not losing money and that’s the smartest thing you can do right now! Thanks for all the information. Great starting to figuring out what kind of savings account you need.